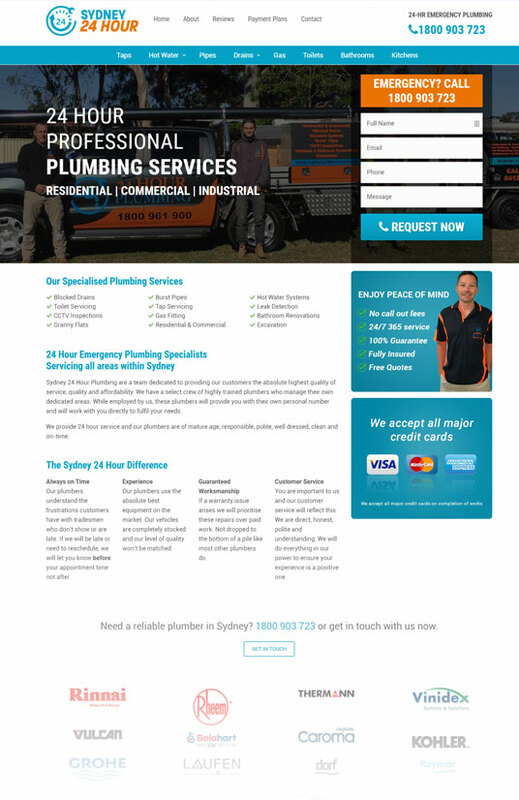 Sydney 24 Hour Plumbing are a network of highly trained plumbers operating through Sydney. They specialise in Residential & Commercial plumbing services and can provide anything from broken taps to blocked drains or complete commercial solutions. Before approaching PixelRush, Richard (the owner) had recently been forced to change domain names due to a Google penalty applied to their primary business domain. The penalty was the unfortunate output of cheap SEO gig from Fiverr. After rebuilding the site and changing domains Richard needed an immediate solution for generating new leads and keeping his team of plumbers on the road. Due to the expense of implementing an SEO campaign, in one of the most competitive industries, and the potential latency in SEO lead generation, Richard choose to continue to work with his existing Adwords campaign. Phone calls were not tracked which meant critical performance data required to optimise the campaign was not captured. Conversion rates were low between 1.5% to 2.5%. The campaign wasn’t structured and uncontrolled which meant a large % of the budget was wasted on irrelevant search terms. All Ads were pointed at the home page. At the time we estimated around 80% of the spend was being wasted. We restructured the entire account and created brand new campaigns that only targeted customers with buying intent. 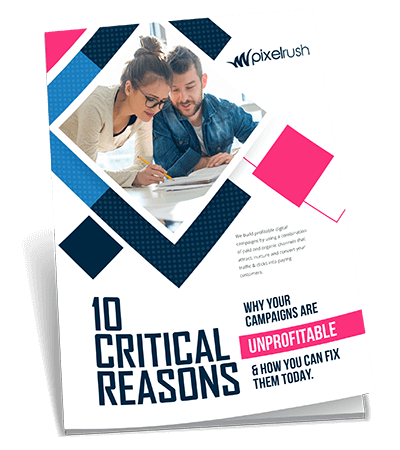 We reviewed all of the historic data and campaigns and used the data to developed extensive negative keyword lists to ensure we minimised waste spend from the outset. We used our own proprietary software to create dynamic landing pages and appear local to areas and regions we targeted throughout Sydney. We added professional photos of the team, brand logos and other social proof to improve trust and influence more of our customers to action. We started with manual bidding which provided us with precise initial control over our spend. As the campaign matured, receiving detailed conversions data, we switched to target CPA bidding to lower CPAs. We reviewed the campaign weekly, often multiple times, to ensure we were minimising wasted spend, reducing clicks on irrelevant searches and saving clicks in an expensive industry. By implementing the above strategies and techniques we were able to reduce the cost per lead by $32 dollars from our 1st month of management to our current and double the leads received at their maximum spend. A segmented campaign that allows granular control of the regions to target in Sydney based on current workload. Ability to priority local areas and reduce travel costs and time. Consistency and predictability in the number of leads generated each month.